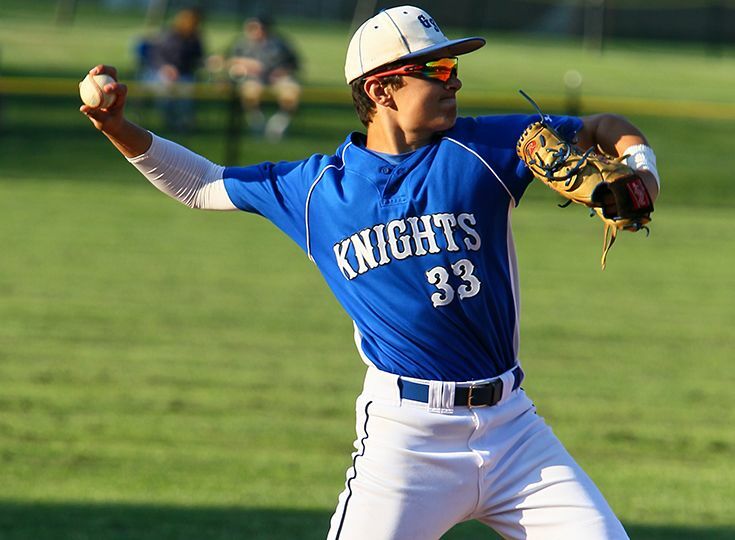 The baseball team got its season off to a solid start last week, as the Knights won two of their first three games. Gill opened with a 4-3 victory over Rutgers Prep on Monday, April 1, behind a masterful mound performance by senior Michael Giammarino (six innings, three hits, seven strikeouts, no earned runs). Fellow senior AJ Donofrio paced the offense with two hits, including a home run in the fifth inning. Junior Eddie McCarthy and sophomore Matt Kalinak also chipped in with two hits apiece. On Wednesday, April 3, sophomore Joe Skapinetz pitched five strong innings (one run, four hits) and junior Michael Taylor drove in two runs to lead Gill to a 6-4 win over Pingry. Sophomore Jake Sempervive and freshmen Logan and Christian Mote all singled and scored to help a balanced offensive attack. The boys had their first defeat of the season at Voorhees on Thursday, April 4. A double from Giammarino drove in Taylor to tie the game at four in the top of the sixth, but the Vikings scored five times in the bottom of the inning to break the game open. Donofrio had another terrific day offensively (2-for-3) and also threw out three Voorhees baserunners from behind the plate.